Throughout the Second World War, Molly Rich, a vicar s wife in London, wrote hundreds of letters to a young Austrian refugee named Otto. The boy had fled the Nazis and became a much-loved member of her family, only to be deported for internment in Australia. 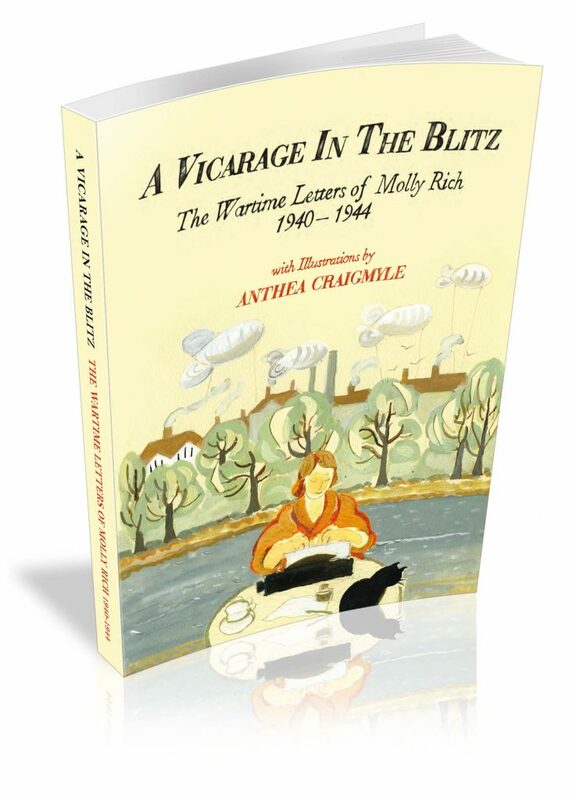 The warmth and humour of Molly's letters sustained Otto through grim times, even as she and her family endured their own trials in wartime London: record cold, rationing, and the Blitz. Molly wrote from the heart of her community, the vicarage of St Nicholas, Chiswick. The old house overflowed with children, refugees, evacuees, lodgers, neighbours, and a menagerie of cats, dogs, rabbits and chickens. She kept her extended family clothed and fed while also volunteering, digging her allotment, and fire-watching, always with time to cheer everyone she knew. Hers is a story of bravery, selflessness, and love. introduction The letters of Molly Rich, my mother, were written to Otto, a 20-year-old refugee from Vienna who came to live with us at Chiswick Vicarage early in 1939 and quickly became part of the family. Fourteen months later, as Hitler invaded Europe, Otto was arrested as an Enemy Alien and sent to internment camps in England and then Australia. Released fourteen months after his arrest, Otto joined the Pioneer Corps (a military auxiliary) and then the Army, serving in England, France and Germany as the Allies fought to victory. Much loved by us four children, Otto was considered a fifth child by our mother, who wrote to him throughout the war. After Molly s death in 1974, I was lunching with Otto and his wife when he told me he still had all her letters. I was greatly excited, as Molly was a natural communicator, writing with charm and energy to her children away at school, her mother in Hertfordshire, her sisters in Kenya and extended family in Trinidad and America. I did not realise the full power of her gift, however, until Otto handed me six boxes of correspondence and said in his gentle, deep voice, These letters kept me alive . Molly had typed or handwritten over six hundred letters, filling every inch of wartime paper. She described the life of an ordinary family living in a part of London that suffered badly during the Blitz. The topics are largely domestic because of wartime censorship and because Molly had little time for anything but work in a household of 14 people, three dogs, two cats and a canary, not to mention chickens and rabbits. Molly s husband, my father, was Edward Rich ( Teddy or Uncle E ), vicar of St Nicholas, then a parish of 11,000 people, many of them very poor. Molly and Edward had four children: Helen, Lawrence, Patience and me, the youngest, aged from twelve to six in 1940. Edward s curate, Fred Wright, had a bed-sit arrangement on the top floor with his white-and-tan spaniel, Tasher. The remaining ten bedrooms spilled over with refugees from Estonia, Austria, Germany and Belgium, evacuees from bombed-out houses in the neighbourhood and London s East End, and visiting family and friends. Alice, the untalented cook who was Molly s only servant, left in 1940. There was one indoor lavatory. Molly was not a natural housekeeper. Brought up in a country house, she was sent at 16 to a domestic college and taught to use a flat iron and to cook and sew. Life at the Vicarage was wildly chaotic. While trying to keep the household clean and clothed and doing a great deal of parish work, our mother dug the lawn to grow vegetables, created an air-raid shelter in the cellar and helped the Women s Voluntary Service and the Mothers Union, often after a long night of fire-watching. She managed all the cooking with wartime rations ( I can now conjure meals from air ) and did the shopping on an old racing bike.